>> reporter: a truly extraordinary today. party and politics simply did not matter. >> gabby, we love you. we have missed you. >> the brightest star among us. the brightest star congress has ever seen. >> reporter: gone were the usual fiery passions. >> no matter what we argue about here on this floor or in this country, there is nothing more important than family and friendship. >> reporter: so many wanted to honor gabrielle giffords ' grace and resilience. >> gabby's courage, her strength and her down-right fortitude are an inspiration to all of us and all americans. >> reporter: giffords year-long hard-fought recovery brought her back here. continuing that work is the reason she will not stay. >> my district deserves to elect a u.s. representative who can give 100% to the job now. >> reporter: with her arizona colleagues of both parties gathered round, best friend congresswoman debbie wasserman-schultz read the letter of resignation for giffords. >> i will recover and will return and we will work together again. 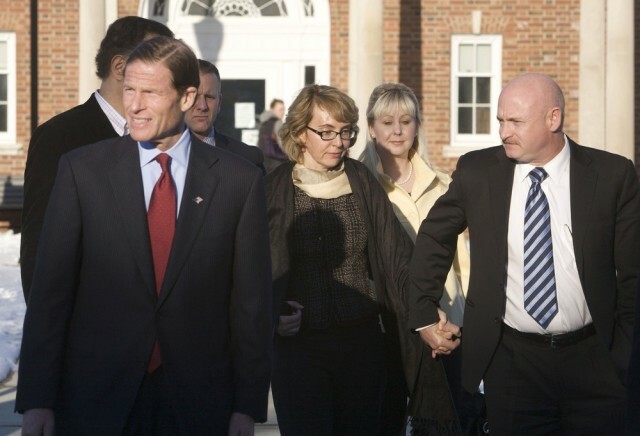 >> reporter: giffords was determined to deliver the letter herself, each step a challenge. speaker boehner caught her briefly. then let his own tears flow. giffords last vote was on a bill she co-wrote. it passed, and like all the tributes, it was unanimous. >> she has brought the word dignity to new heights. >> reporter: the good-byes from that joyful bear hug from president obama last night, to capitol hill workers who hate to see her go. >> i'm so proud of you. i'll miss you. >> reporter: and house chamber was also on its feet, brian, for the chief of staff who gabby giffords has quite literally leaned on all year. everyone cheered. all those office workers who kept things going this past year. and with today's news, will begin to wind down her office. a real cheer for those public servants. >> an incredible scene there today. kelly o'donnell on the hill, lucky to witness it all.